As part of the standardization of operation and ensuring sustainable development, all our activities are following International Standard. We are certified under ISO 14001:2004 and ISO 19001:2008 more than 15 years and continue to improve our operating standards as part of the global practice. We have registered with SIRIM, expanding our more products to stay competitive in Drinking Water Supply. With experience over 25years in wastewater knowledge and know-how, May Chemical Sdn Bhd has started to venture into supporting client with Operation and Maintenance (O&M) services. Cost optimization and compliance are fundamental for any organization hence our offer to client on O&M services enhances overall perception on May Chemical as a company that care. We hope to support our loyal client through O&M services with minimum profitability at the highest value. May Chemical Sdn Bhd, as part of the developing new businesses, are unique in the sense that we always aspire to venture and creating new values to consolidate and strengthen our position continuously. The outcome of such desire is involving and marketing ourselves in designing of Wastewater Treatment Systems. 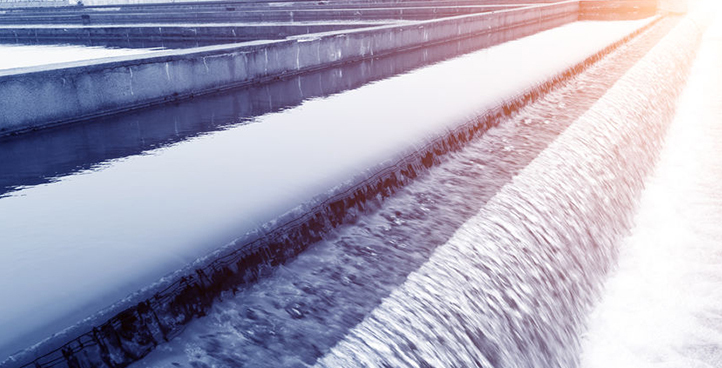 We have experience and skill in wastewater chemicals, process knowledge and know-how and with such strong fundamentals, it is not surprising that we are able to execute designing new WWTP. The design we propose are in-house build and niche for each client. We avoid providing standard design as per offered by many traditional and reputed engineering companies. We only provide the right design with optimization concept based on “what is required” only. As we understand client do have influent variation causing system “up-set” usually our WWTP is designed to incorporate such variation. One key competitive edge May Chemical has is the cost factor. We are least concern on pricing competition as our core chemicals business as well as capability to build in-house ensures client gets the best price. In the recent years, the increase in Solar and Rubber glove has also causes increases in toxic fumes such as Chlorine, NOx, SOx, and other organic vapors into our environment. We also aware that, many wet scrubbers are installed to scrub the gaseous. However, in many cases, similar to WWTP/IETS, the scrubber design unable to cope whenever concentration of gaseous increases beyond the maximum limit for treatment. Treatability and compliance due to design short-falls cause client to invest enormous amount of money and sometimes space constraint become a pivotal issue. May Chemical Sdn Bhd do offer solution for those clients with high toxic gas emission (exceeding standard limit). Our solution is to ignore design or incoming peak but to treat using our proprietary chemicals. This resulted in no additional cost for new scrubbers or worry on abnormal gas emission from production process. Our scrubber chemicals have proven track records in rubber glove industry and solar to scrub NOx and Chlorine. We also provide monitoring system to monitor efficiency of scrubbing and usage of chemicals. To avoid engineering change and new investment, we have successfully introduced our new product, Benzyl C-20, Benzyl C-25 and Benzyl C-30 which instantly remove excess toxic gas generated from production line. The product has proven track record and wastewater discharged from Scrubber has no significant affect to existing IETS. Benzyl C20 / C-25/C-30 is cost affective and good replacement for NOx and Chlorine based gaseous replacing more conventional treatment method using H2O2 (for NOx) and NaOH (for Chlorine). H2O2 in particular will cause sludge floating issue in the IETS system and need separate treatment before being introduced to IETS. Please refer to our technical team for more detail information. Our team will carry out plant trial based on the information and provide the right solution for Scrubber Air Emission compliance.